The second generation 2017 Porsche Panamera had its world premiere in Berlin on 28 June and will go on sale internationally in November 2016. 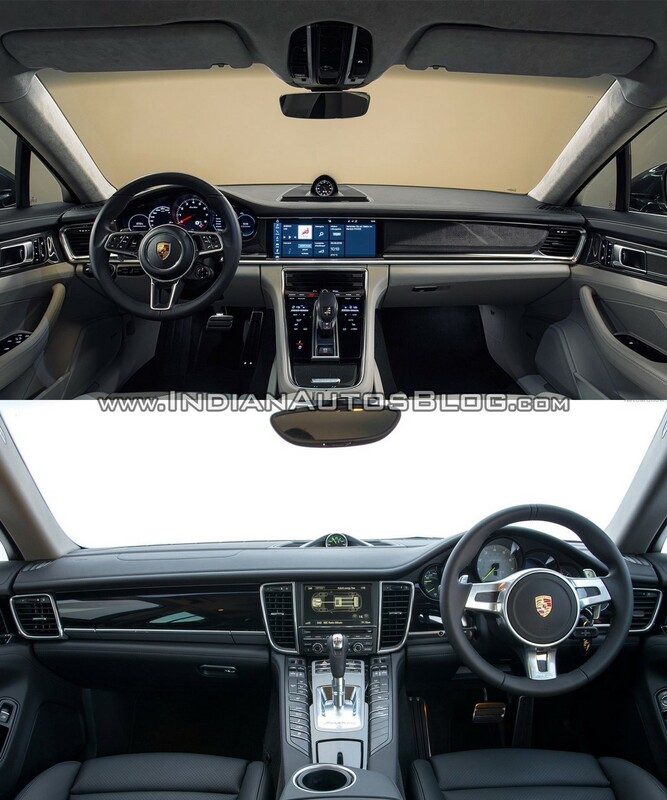 Here's a pictorial comparison of the all-new 2017 Porsche Panamera with the 2014 Porsche Panamera. The Porsche Panamera has undergone an evolutionary redesign for its second generation. 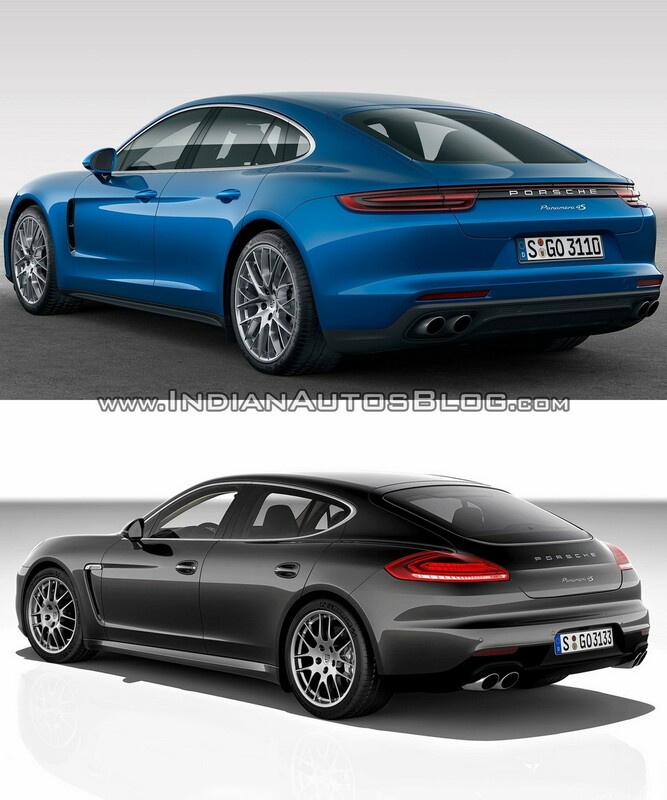 As expected, the Panamera's undergone an evolutionary redesign for its second generation. Changes are so subtle up front, the all-new model may look a mere facelift to some on first glance. Stepping closer, it becomes clear that it isn't. The front-end is more angular, thanks to the new reshaped headlamps, radiator grille, air dam, bumper and air scoops. The profile has remained largely unchanged, save for the rear windows which have been split for a vent glass. At the rear, every part appears to have changed, but the talking point is the sleek new full-width tail lamps derived from Porsche Panamera Sport Turismo concept with inspiration from the Porsche Mission E concept. The interior has been drastically improved. There's lesser use of analogue instruments and switches now, due to considerable digitisation. The interior is yet to be fully revealed, but the leaked images have revealed the instrument panel and the rear of the cabin. The instrument panel has the same layout, but appears to be semi-digital now. There's an analogue tachometer in the middle, flanked by two 7-inch digital displays for the other driving information. Rear occupants sit with more luxury and comfort, thanks to an easily accessible infotainment system (with possible touchscreen operation) and other controls on the redesigned rear centre console. The door panels look neater. The 2017 Porsche Panamera will be available in three engine models: Panamera 4S, Panamera 4S Diesel and Panamera Turbo. When introducing the first generation model, Porsche boasted that the Panamera is based on a dedicated rear-wheel drive platform. Likewise, the second generation will be the first vehicle to be based on new MSB rear-wheel platform, but will share it with other Volkswagen Group vehicles including the fourth generation Audi A8, the next-gen Bentley Continental range as well as the Bentley EXP 10 Speed 6 concept's production car. The second generation Porsche Panamera will be offered in three models: Panamera 4S, Panamera 4S Diesel and Panamera Turbo. The Panamera 4S is powered by a 2.9-litre twin-turbo V6 petrol engine good for 324 kW (440 hp) and 550 Nm of torque. The Panamera 4S Diesel has a 4.0-litre twin-turbo V8 diesel engine developing 310 kW (422 hp) and 850 Nm of torque. The Panamera Turbo sports a 4.0-litre twin-turbo V8 petrol engine that puts out 404 kW (550 hp) and 770 Nm of torque. All-wheel drive drivetrain layout and a redesigned 8-speed Porsche dual-clutch transmission (PDK) are standard across the range. 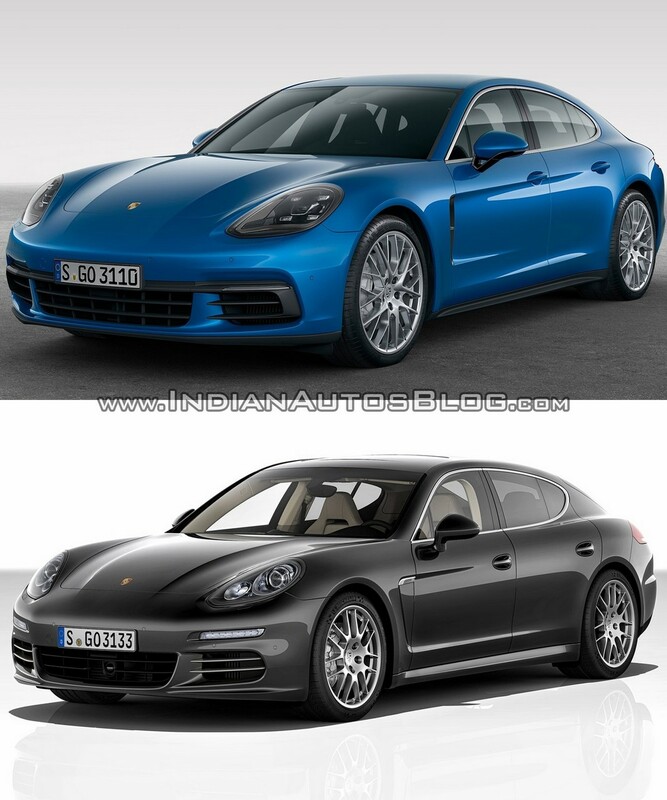 In India, Porsche has currently listed only Panamera 4S and Panamera Turbo. The Panamera 4S Diesel probably won't sell up to its potential because it cannot be registered in Delhi & NCR, Kerala, and possibly more cities/regions expected to join the list.